SPICE 2014 - West Virginia University and the University of Erfurt: National Pride ... Was ist Das? National Pride ... Was ist Das? 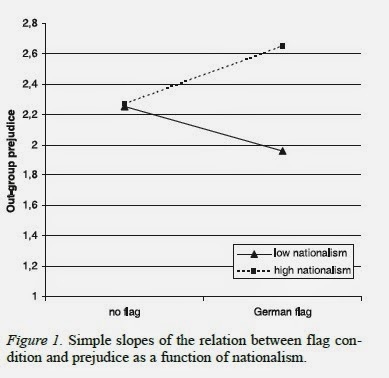 root cause for US and German perspectives on nationalism. In August 1892, Baptist minister Francis Bellamy pinned this short passage in preparation for the 400th anniversary of Christopher Columbus' arrival to the Americas. Quickly reciting this passage to most US citizens will almost instantaneously result in a group recital, hands placed over the heart and eyes darting around the room for the nearest American flag. While Americans are often blasted for being a bit ... err ... tacky with how they display their national pride, the simple fact is that most of them do, and displaying your national pride - to an American - is considered a perfectly acceptable thing to do (especially before our sporting events). "No German put his hand over his heart while singing the national anthem. No school flew the flag when Jan was a boy. ‘How did we [Germans] learn not to wave the flag?’ asked Jan, a world traveler who is nearing his 50th birthday. ‘We simply did not do it.’"
(non-Germans) after exposure to the German national flag. In fact, recent work by Becker et al. (2012) looking at the impact of national flag exposure - US and German - on a population of German adults aged 18 to 45+ actually found that exposure to the German flag elicited far more negative than positive feelings. First, their work found that when Germans were asked to list the thoughts coming to mind after seeing the rot-schwartz-gelb, those thoughts tended to be rather neutral (almost 20% of the thoughts listed were references to sports, specifically "football (soccer)"). The next most-prominent category? Nazis. Nearly 12 percent of German respondents, when viewing an image of their country's modern flag, listed "Nazi" or "Hitler" or "Third Reich" as the most prominent thought in their mind. The authors write (p. 5): "These results indicate that the German flag does not imply such positive egalitarian associations for Germans as the US flag indicates for Americans." Our own class discussions (from the media psychology and influence) might also give some support for these findings. Recall from moral foundations theory that we can often understand intercultural differences as a function of their primary view on morality. For example, Bowman et al. (2012) found that Germans tended to place far more emphasis on concerns related to harm and fairness (considered more individualizing, or liberal, facets of morality) while Americans emphasized aspects of authority, loyalty, and purity (considered more binding, or conservative, facets of morality). The article explains that these cultural differences make sense when one considers differences in the political systems of each country - such as the increased importance on social welfare in the German economic and political system. courtesy of one of our German SPICE students. In 2014, SPICE students are likely seeing quite a few German flags around town as the country gears up for Germany's run at a potential fourth World Cup title (for we Yanks, simply making it through the quarterfinal rounds would be best performance by a US World Cup team since their third-place finish in 1930, or maybe their quarterfinal run in 2002 Korea/Japan). 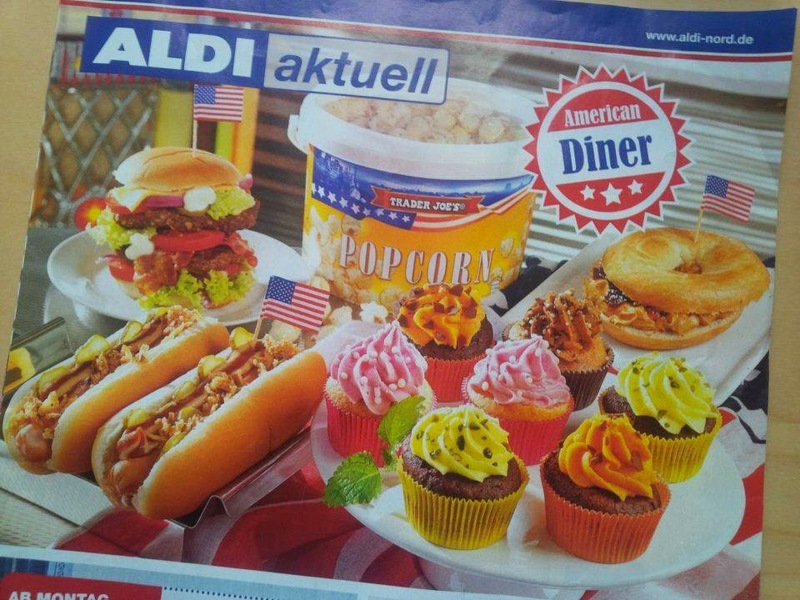 Or, consider this coming Friday, when we gather at Zitadelle Petersberg to celebrate the 4th of July - an American holiday stepped in our culture to celebrate life, liberty and the pursuit of (grilled and malted) happiness. For the past three years, SPICE has hosted a American-style BBQ with students decked out in all manner of Red, White and Blue. For many of our German colleagues, the sheer variety of clothing that is either made from, of, or in the style of the Stars and Stripes is staggering. What sort of thoughts and values do the Germans that you know associate with the German flag? How do they feel about the American flag? How do your German friends feel when their peers others proudly demonstrate strong patriotism? What sort of thoughts and feelings do they have when Americans do the same? What about you - how does the American flag make you feel? What about the German flag? How do you feel about Germans showing their national pride? How do you feel about Americans showing their national pride?